Absolutely gorgeous! Simple yet elegant! 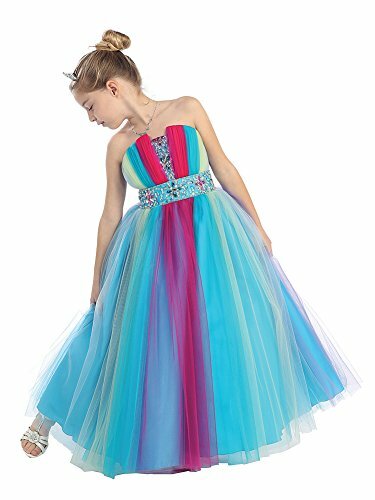 Your child will be the belle of the day whether it is a picture day or simply attending a special event with this rainbow tulle dress. This beautiful dress is the perfect choice for the day to be remembered. If you have any questions about this product by WonderfulDress, contact us by completing and submitting the form below. If you are looking for a specif part number, please include it with your message.